How do we pronounce words like love? How do we believe in them, and how can we apply them to the missing, wounded and massacred: To the missing indigenous women in North America, to a wounded culture, a dying language and the open grave of a massacred history that we refuse to stare into? Tanaya Winder seeks to articulate this heartbreak in her debut collection of poetry, Words Like Love, poems that act as a series of love letters dedicated to family, culture, a decimated environment and all who perished under the brunt and brutality of the capitalist colonialism that shaped our reality. Winder’s poetry is armed love, speaking truth in the teeth of power. In this slim tome, a mess of tears surges through every stanza, coursing its way through occupied territory, trying to find the heart, ready to penetrate its stone-cold reality. A tangled web of issues engulfs the lives of indigenous peoples in contemporary society: The minstrel show of racist sports mascots; the insistence of identity based on eugenics-centric blood quantum standards; the untold suffering of native peoples, especially native women, on reservations and in urban communities; and the violent resource-extraction and exploitation of native land by profit-hungry corporations, to name a few. In confronting such overwhelming odds, Winder understands the importance of grasping reality, yet refusing to let that reality paralyze you. 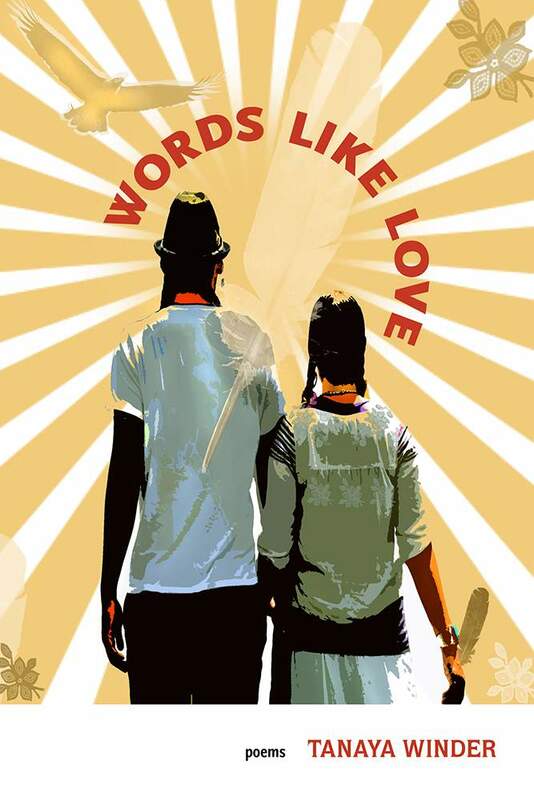 Words Like Love is a stunning debut where each page presents devastating, uplifting ruminations on the tragic dance between life and death in occupied North America, where the suffering of the marginalized goes unheard. Yet Winder breaks that silence by bearing witness and giving voice to the suffering. Each poem is a reminder to the missing and forgotten that their lives matter.